Wisconsin Historical Society Press, 9780870208553, 208pp. An immigration story of crossing cultural bridges and finding family. 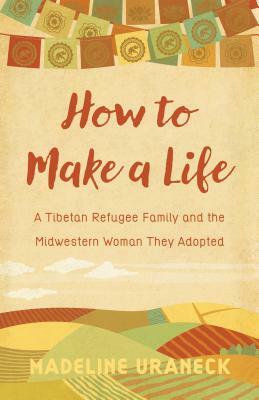 When Madeline Uraneck said hello to the Tibetan woman cleaning her office cubicle, she never imagined the moment would change her life. After learning that Tenzin Kalsang had left her husband and four children behind in a Tibetan refugee settlement in India to try to forge a better life for them, Madeline took on the task of helping her apply for US visas. When the family reunited in their new Midwestern home, Madeline became swept up in their lives, from homework and soccer games to family dinners and shared holiday traditions. By reaching out, she found more than she bargained for—a family who welcomed her as their own and taught her more than she offered them. Madeline Uraneck is an educator and writer who has visited sixty-four countries through her role as International Education Consultant for the Wisconsin Department of Public Instruction, several Peace Corps assignments, and her passion for world travel. Her writing has appeared in K–12 curriculum materials, educational handbooks on culture and policy, and publications including WorldView Magazine, Hotline, Global Education, WorldWise Schools, and Isthmus, for which she received a Milwaukee Press Club award.